Luxury chalet with sauna, outdoor jacuzzi and fireplace. 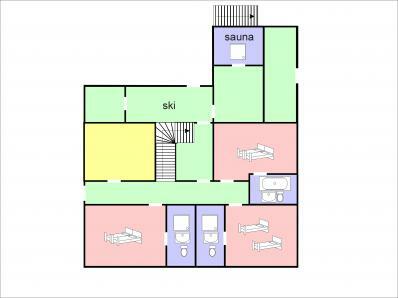 A spacious and well designed chalet furnished and equiped to a high standard. The living room has direct access to the balcony. 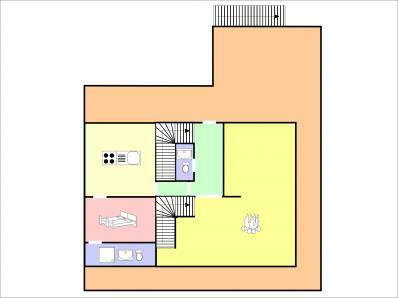 A second small cosy lounge is on the ground floor. 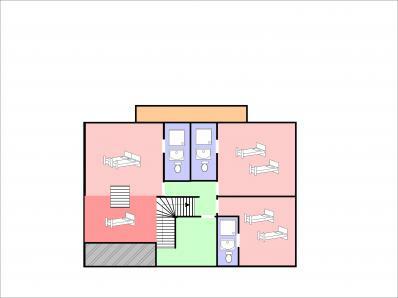 Each of the seven sleeping rooms is en-suite with a bathroom and toilet. 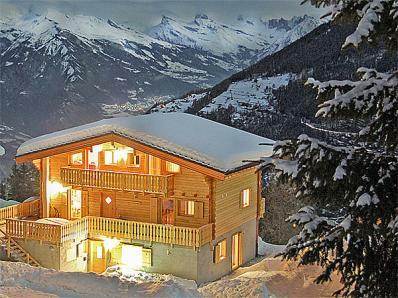 The chalet is situated above the centre of the village and ~600 m from the main gondola (connection to Verbier/4 Vallées). To the ski slope ~250 m, to the chair lift ~400 m. Distance to the ski bus stop ~70 m (uphill). According to snow conditions, you can ski back to the chalet (on your own risk, no marked slope). Distance to the village centre with supermarket, restaurants, pubs, child care, post office and bank ~750 m. To the ice rink and indoor swimming pool (both next to the cable car) ~600 m.
Clients can choose to use the chalet's jacuzzi (pre-reservation required) for a fee of 320 CHF / ~290 EUR per week. Please note: The maximum number of persons allowed is 14, although the sleeping capacity is higher. altitude chalet 1.600 m; top of the ski slopes 3.330 m on the Mt Fort glacier. ; 410 km of alpine slopes, 95 ski lifts, biggest swiss ski area. 10 km sledge run, accessible via cable car. There are garden furniture, desk chairs and a charcoal BBQ at the chalet. In summer, La Tzoumaz offers plenty of possibilities like hiking, mountain biking, swimming, climbing, tennis, golf (in Verbier) or fishing. There is a ‚trail of senses‘ (altitude 1,700 m) with 12 ‚sense stations‘ as well as a an exhibition of the local flora and fauna. Relaxing walks for example along the typical valaisian waterways. The Bisse du Saxon from La Tzoumaz via Nendaz to Vercorin offers 150 km of gently inclined paths suitable for mountain biking and pleasant walks. Interesting trips due to its location in the border triangle of Switzerland, Italy and France – for example a ride with the Mont-Blanc-Express to Chamonix or via the Gr. St. Bernhard-Pass to the Aosta Valley in Italy. The bathing lake ‚Les Iles' is only a ~20 minutes drive away. To book, please click on the corresponding white box!